Lois Brummet, MSN, RN, CHPCN(c) has been affiliated with the Desert Valley Hospice Society for several years. At one time, she was the area representative to the BC Hospice Palliative Care Association; she went on to become President. Her Canadian Nurses Association certification is in Hospice Palliative Care nursing. 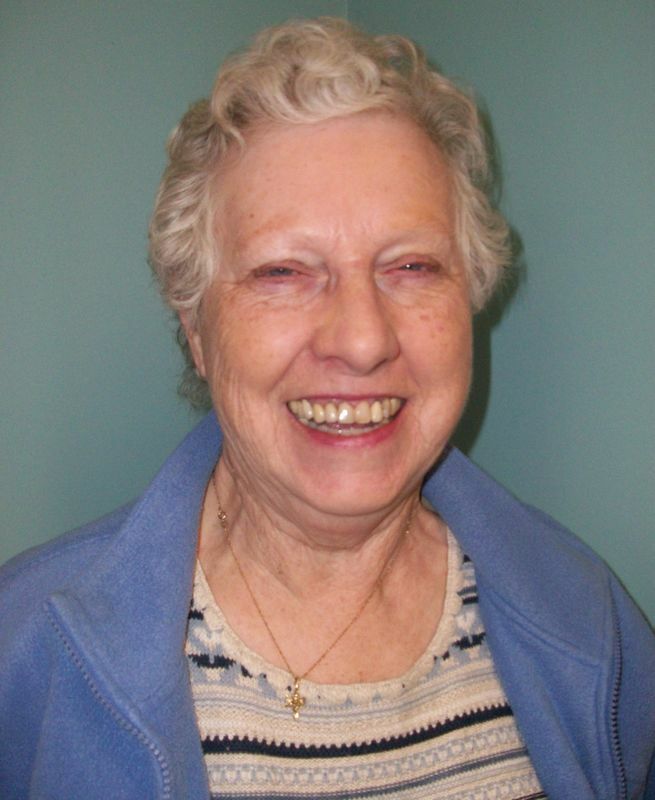 Lois has practised in a variety of settings from acute care, home/community and long-term care. For her work in AIDS palliative care, Lois received the Queen’s Jubilee Medal in 2002 from the Canadian Hospice Palliative Care Association. Lois is a member of the DVHS's Grief Support Team. She sits vigils and visits at Mariposa Gardens in Osoyoos. Lois is married to Tony. Besides golf they share six adult children, fifteen grandchildren and two great grandchildren. Ken Clarke is the current Vice-President and Past President of Desert Valley Hospice Society. He is currently serving his seventh term on the Board. Ken lives in the Oliver area with his wife Janice and they have three adult children. He currently serves as the Pastor of Valley Congregational Church. ​Fiona has lived in Oliver for 26 years and has five children and five grandchildren. Her husband of 37 years passed away last June. 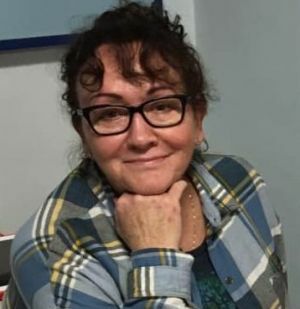 She has had a varied career spanning office administration, education assistant, teacher and medical office receptionist at various levels – Provincial Government, Ministry of Defence, School Districts, as well as having been a business owner, school board trustee and served on the boards of two churches. Fiona is currently active as a volunteer with Kiwanis Club and Red Cross Medical Loan Program and has trained as a hospice volunteer and palliative massage with Desert Valley Hospice Society. Janet (Jan) is a new resident to Oliver from Grand Forks where she was the Owner/Operator of a residential and commercial building. Prior to being a Property Manager, Jan was a Mortgage Loan Officer at a Credit Union in Grand Forks. Since moving to Oliver, she has become a member of the Lions Club of Oliver. Jan was recently reappointed for another 2-year term to Community Voice, Interior Health’s Research & Ethics Board. Jan has completed the fall 2018 Hospice Volunteer Training and the Palliative Massage Training with Desert Valley Hospice Society. Jan is a member of DVHS's Palliative Massage Team. She sits vigils and visits on Acute Care at SOGH and provides one-to-one support in people's homes. ​Tracey recently moved to Osoyoos from Fort McMurray, where she worked as the Community Relations Advisor for a large energy company. She has been involved with many non-profit organizations over the years, including the Osoyoos and District Arts Council where she currently serves as Vice Chair, the Homeless Initiative Strategy Committee, the Western Canada Summer Games Wood Buffalo and the Oilsands Curling Club. Tracey has many skills that will serve the Desert Valley Hospice Society well. I was looking for a way to serve in the community and felt Desert Valley Hospice Society provided a much needed and important support for people nearing the end of their ‘life’s journey’. After becoming active with the Society, I became more involved in the administrative aspects, which lead to my involvement with the Board; although I still do some volunteering with individuals. I am now more convinced than ever of the importance of the services provided by the Desert Valley Hospice Society for members of our communities. Nolan has almost 20 years’ experience in the funeral business, starting as a young man, working in the funeral home owned by his father. Nolan is very active and engaged in the three communities. He serves or has served on many boards: Kinsmen, Kiwanis, Rotary, Lions, Eagles, Knights of Columbus, Green Burial Council of Canada and 100 men Who Care. 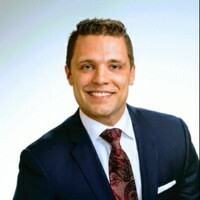 Nolan is the Funeral Director at Graham Funeral Home in Oliver and the Providence Funeral Homes & Crematoriums in Penticton and Summerland. Nolan is married to Abigail and they reside in Penticton with their two wonderful children, Emma and Noah. ​Don is a long-time resident of Oliver and retired in 2007 from Interior Health as the Manager of the Laboratory at SOGH. Don has always been involved in the community serving on the Boards of Oliver Kinsmen, Oliver United Church, South OK Sportsmen’s Assoc., Oliver Fire Dept., and he is currently Chairperson/Director at the Valley Congregational Christian Church. ​Don has been an active DVHS Hospice Volunteer for three years. He has a strong desire to improve the lives of others in all walks of life.